I like to thank the Dutchess County tourism board for hosting me for a visit. Hello princess. I mean Dutchess. I actually mean Dutchess County, NY. The other day I squeezed my eyes really tight. You know so tight that I wasn’t sure that I could open them again. I took in a big inhale. I slowly let my breath wander over my tongue and out of the smallest space between my lips. I open up eyes then I filtered the information before them. I adjusted to the new space and colors and began to define my destiny. I put on travel like I put on a dress. I hang it up on my closet door. I walk past it. I inspect it. I think where it will take me? Whom will I see? What will I do and of course what is there to eat? Will this dress fit when I am done. Dresses make me happy and travel does too. I slipped on my new dress filled with wonder, excitement, and confidence. Travel embolden me to get out of my normal routine and meet myself again. It gives me the push to stretch myself like a rubber band that you have decided out of curiosity to test the limits of the elasticity. You shove it over your hands with your palms facing one another. You pull in opposite directions. You watch the rubber band expand as it either climbs up your hands, it becomes tauter. It changes the shape of the flesh under it. Then it either breaks in two or pops off your hands and flails around the room in excitement until it lands. I felt that same excitement, curiosity, and quick pain the second I arrived in Dutchess County. The bus ride from Buffalo took hours. If can imagine a van full of relatable strangers some with stories to tell and some with the desire to sleep. The passenger in me was ready to get there already because I needed to know what makes Dutchess County, New York so special. The overworked parent, wife, businesswoman, and sometimes witty journalist just wanted to nap until the day unfolded hopefully, right into bed or a good meal. A good meal can always get me going and as it turns this happened instead. I awoke to a rest stop with a man lying in the grass looking at the sky. The bathroom for the men was broken and three port potties lined the walkway. The woman’s bathroom was abuzz with a line as usual. I looked but my attention was captured by the scenery that lined the road. I was becoming more excited by the minute as I stepped back into the passenger van and forward we traveled to Dutchess County, NY. Advice: if you aren’t a fan of a long drive may I suggest some airports? LaGuardia at 80 miles, JFK, around 90. How about something closer SWF Stewart airport about 30 miles away. Local Airports Poughkeepsie POU or Danbury CT around 35 miles away. Fishkill Farms is a 270-acre apple orchard and vegetable farm located in East Fishkill, New York. It family owned for the last 100 years and family friendly. We enjoyed picking apples and riding on the tractor. I can say that their pumpkin bread was outstanding and the sunflowers were stunning. Delicious cheese is just the start of a fantastic trip the actual property is very charming. The Sprout Creek Farm, We visited with goats, chickens, and even a pig. This Poughkeepsie secret is a fantastic place to learn about how to farm. They offer educational opportunities for everyone in their communities. The Franklin D. Roosevelt musuem was another stop on our tour. It was a great place to learn more about the former president and his wife. The museum featured interactive exhibits and they even had a movie. I enjoyed looking at his convertible, his desk and feeling the weight of his leg braces. The house was very well preserved so you really got a sense of how the family lived. The room where he was born was also in the home and the grounds were lovely. The next place was particularly interesting to me because I have been to their estate in Newport, Rhode Island. The Tour of Vanderbilt Mansion National Historic Site, in Hyde Park, was an impressive house but it was a lot different from their other estate. The grounds were my favorite part. They were stunning. I also enjoyed he house tour it was interesting to learn about the habits of the very rich and how generous they were to the people on their staff. A must do is the Walkway Over the Hudson, in Poughkeepsie. You will especially need this walk if you have been eating in the best resturants in dutchess county. The bridge now known as the Walkway Over the Hudson opened in 1889 as the Poughkeepsie-Highland Railroad Bridge to transport western raw materials to eastern industrial centers. Rosendale cement was used in the original construction of the piers. I will say if you like art you may like this place. The Dia in Beacon was founded in 1974by Philippa de Menil, Heiner Friedrich, and Helen Winkler to help artists achieve visionary projects that might not otherwise be realized because of scale or scope. I found it to be a little modern for my taste. I saw some “one of kind” pieces that I wasn’t sure what they were but I guess that is why it is called art. I would go back because I like to challenge myself to learn more about different forms of expressions. I did like the museum’s location and the use of light and angles to create movement. You can see I became the art but I am not sure this is what I should have been doing in the space. I would like to thank the following hotels for providing accommodation for us during our trip. The sprout creek farm sounds so cute and fun it is a dream of mine to visit new york im California born and bred honestly have not been able to enjoy many other states this one is at the top of my list! Thank you for taking me there virtually. I have a friend who lives in New York I’m going to see if she knows about these places! I love apple farms!! What fun! What a beautiful place, I would absolutely love to be able to visit! Thank you so much for sharing! Not very familiar with NY. I hear upstate is beautiful. Most visitors never hear about anything other than NYC. 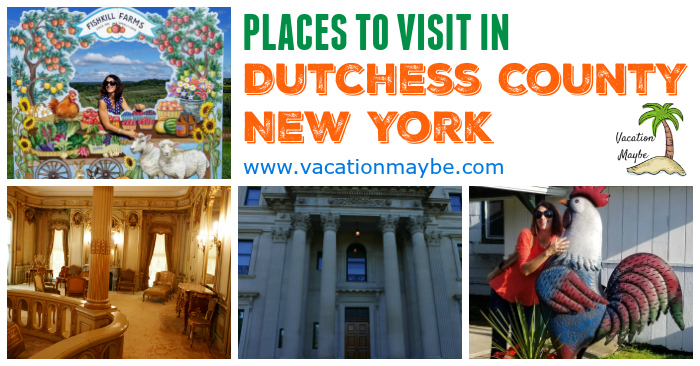 Dutchess County, NY sounds like an amazing place to vacation/visit. They offer lots of activities. Never been to Dutchess County. Looks wonderful! I would love to visit here! It looks lovely!